John White is a senior research analyst with ROTH Capital Partners providing equity research coverage of the oil & gas sector. Prior to joining ROTH, White was a portfolio manager and analyst with Triple Double Advisors LLC, covering publicly traded equities in all subsectors of the energy complex. Prior to Triple Double, he was an exploration and production equity analyst with Natixis Bleichroeder and Next Generation Equity Research, covering small and mid-size exploration and production companies. From 1996 to 2003 he served as an energy high-yield, fixed income analyst for BMO Capital and John S. Herold, Inc. White's experience also includes banking and credit analysis responsibilities with Scotia Capital. His industry background includes working in acquisitions and divestitures and exploration and production, primarily with BP. He received a BBA from the University of Oklahoma and an master's degree in business administration from the University of St. Thomas (Houston). He also serves on the editorial advisory board of the Oil & Gas Financial Journal. John White has initiated coverage on several small-cap exploration and production companies in the Permian Basin, the latest of the major basins to turn in a big way from vertical oil and gas wells to horizontal fractured wells. In this interview with The Energy Report, the ROTH Capital Partners senior research analyst names five Permian players on his list of favorites. "TRCH's Maverick A24 #1 well encountered oil in the Atoka formation." "TRCH added a new member to its board of directors, Robert Lance Cook." "TRCH initiated drilling of the University Maverick A24 #1 well." 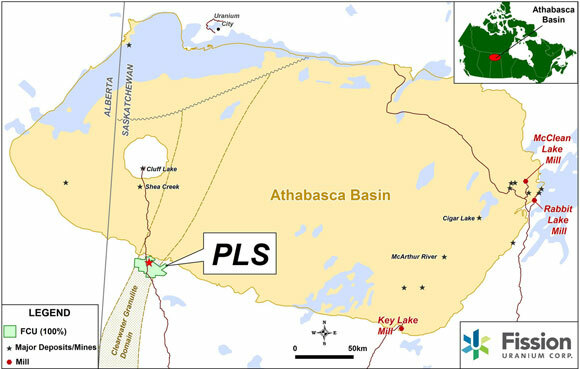 "TRCH completed the drilling phase of the A39 #1 well." "This is TRCH's first well to test the Wolfcamp formation and potentially opens up a new oil and gas play separate from the previously tested Pennsylvanian." "TRCH spudded the first well of the next three planned for Orogrande." "TRCH placed, in a private transaction, its promissory notes for $6M." "A gas lift system was installed in one of TRCH's Orogrande wellbores." "TRCH's interest in Orogrande will increase from 67.75% to 72.5%." "TRCH's test well at Orogrande produced at a 1.8 MMcf peak daily rate." "We are initiating coverage on TRCH with a Buy rating; while the Orogrande Basin exploration effort carries significant exploration risk, the potential upside is, in our view, very substantial."